Jeremy Knight’s passion for woodworking was handed down to him by his grandfather, a NASA engineer and skilled craftsman. The two spent many hours together in the workshop, working side by side on projects. 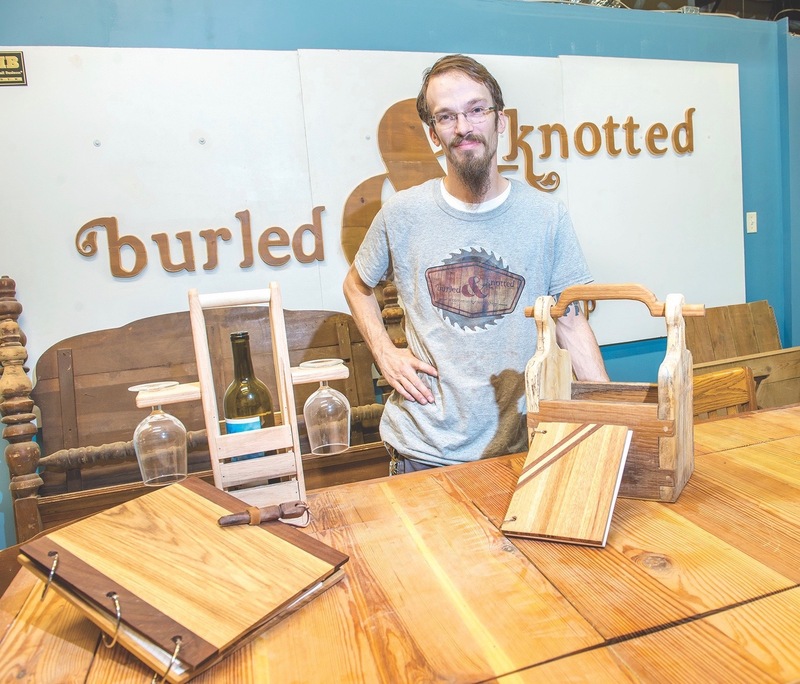 Last fall, after working for years as a graphic artist for a government contractor, Knight opened the Burled & Knotted Community Woodworking Shop. Now others can work on projects alongside Knight in this one-of-a-kind community space. “I got the idea for the shop while I was working on a project at home,” says Knight, a Newport News native. 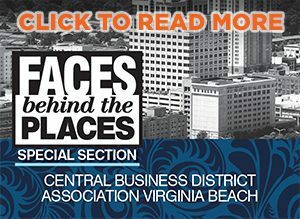 “I needed more tools, but my garage was full.” Knight had seen community workshops popping up along the West Coast, and he wanted to be the first to bring that vision to Coastal Virginia. “I didn’t want to drive down the street and see someone else had done it before me,” he says. With financial backing from family along with his personal savings, Knight rented space on the edges of Oyster Point in Newport News. The shop is 1,800 square feet, with a small showroom to display items members have made. An open floorplan helps with the workflow. Mats at each machine provide cushioning for members’ legs and backs. So far, the most popular tools are the 20-inch planer and the table saw, machines people can’t easily fit into their home workshop or garage. In addition to apartment dwellers, Knight also wants to reach the military crowd. “Many of the shops on local bases have shut down, which leaves the military members without a place to practice their craft,” he says. Right now, Knight is the only staff member. Occasionally members volunteer to pitch in and help with the shop, but Knight must handle every aspect of the business himself, from accounting to marketing. “The business side is all new for me,” says Knight. The hardest part so far has been getting the word out about the shop. He has advertised on Craigslist and Facebook and takes part in craft shows to help spread the word.